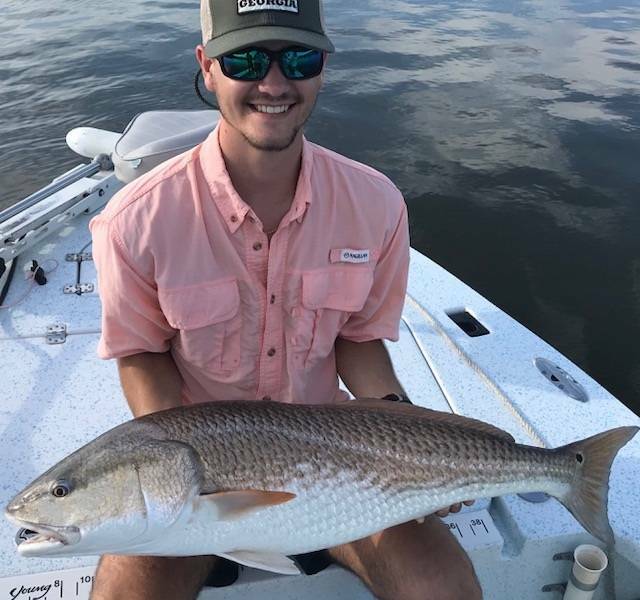 …………..brother Samuel was next up with this 38” Red which also bit a crab………………….. 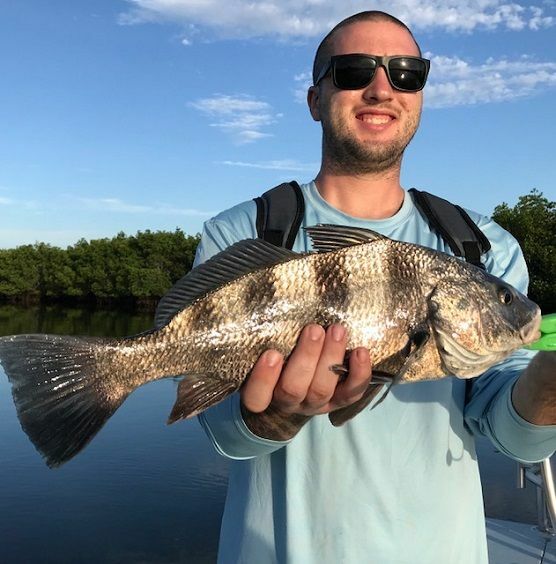 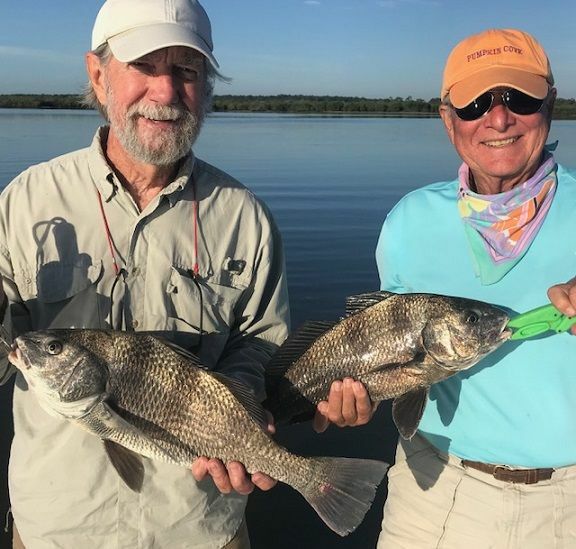 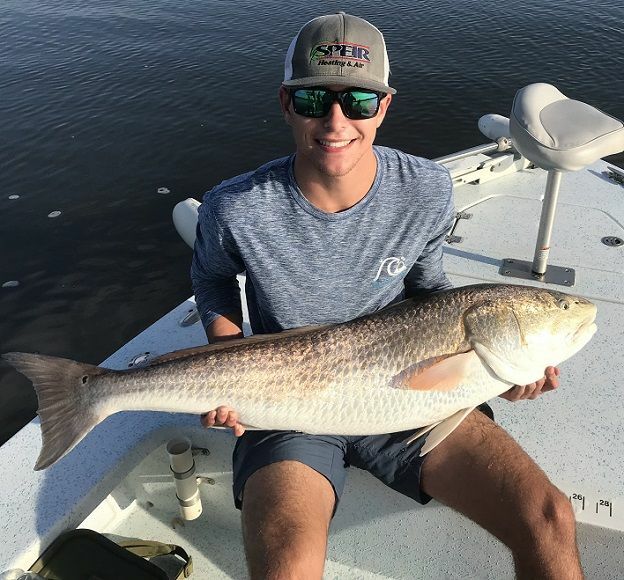 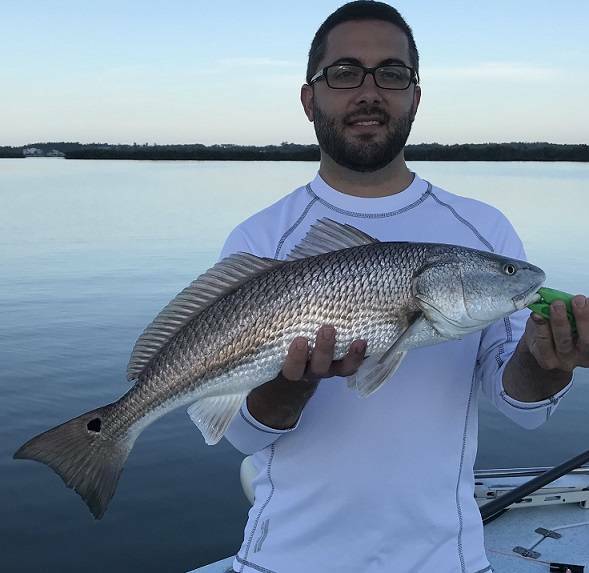 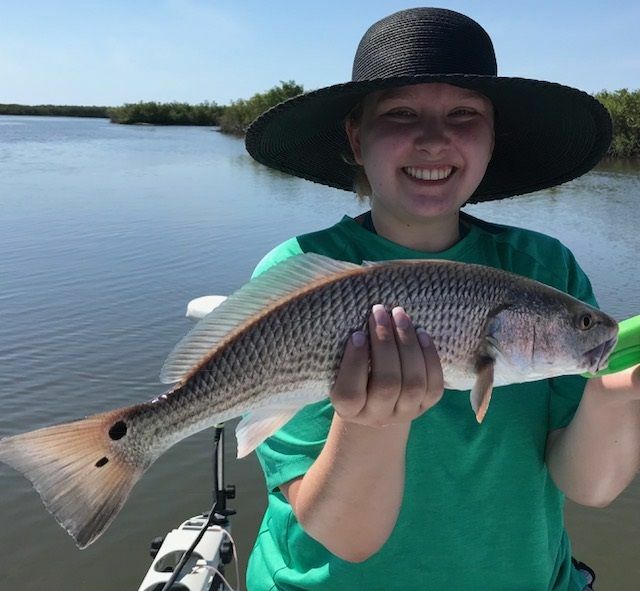 Sight fishing the flats at Mosquito Lagoon is always a fun but challenging trip, Matt from Philadelphia had it on his bucket list and got to experience our encounter with several tailing Redfish in very shallow water at sunrise and was able to connect with this 27” Red……………….. 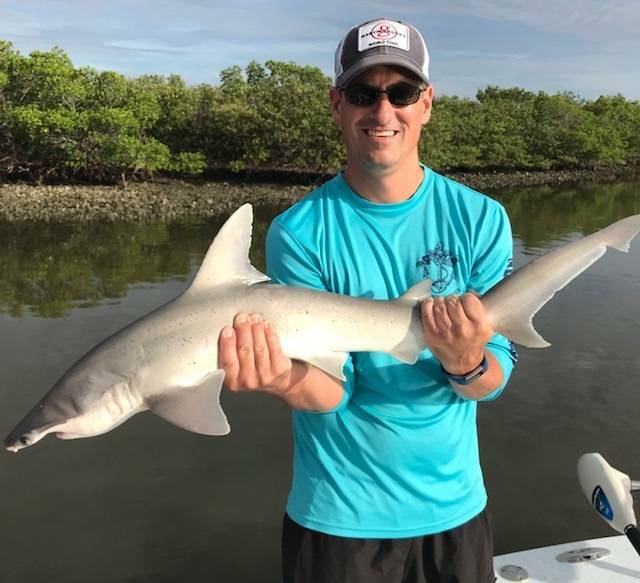 Sharks are always the star of the show for freshwater fishermen who only fish the salt on special occasions, Josh from Tennessee had an epic battle on one of my light tackle spinning rods and landed this 40” Shovelnose Hammerhead for a quick photo before release………………..
Kyle from North Carolina came on a trip with a bunch of buddies visiting Orlando, several Black Drum caught in addition to the usual bunch of different types of fish too …………………..